Jeong Yak-yong (丁若鏞 1762-1836), he was one of the greatest thinkers and writers of the late Joseon period. 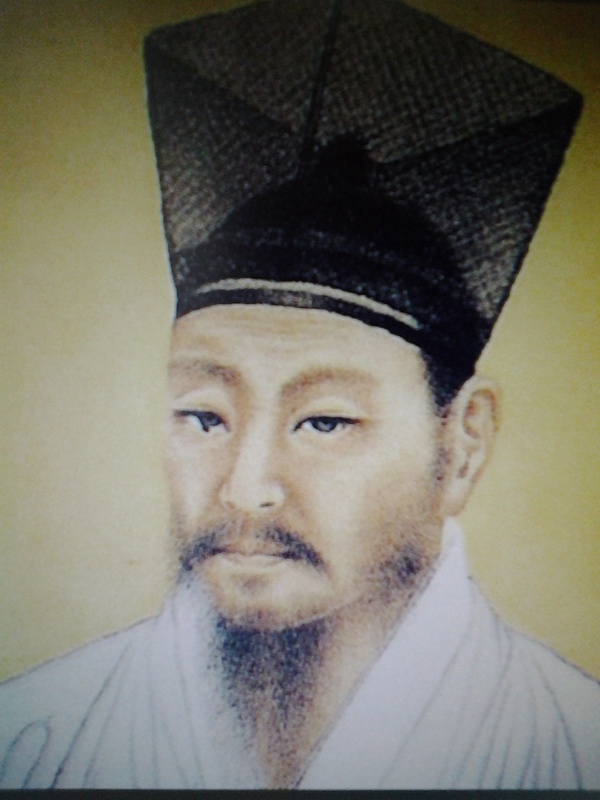 During the reigns of King Leejo and Jeongjo, he was the leading scholar of the Silhak school, serving as under-secretary of justice unti l, on account of his association with Catholicism, he was exiled to Gangjin, South Jeolla province, where he spent 19 years writing over 500 books on government, economics, law, medicine, astronomy, geography and philosophy. Below is an extract from one of his philosophical writings titled 원목 (原牧). In this writing, he criticizes the inequality between the elite – high government officials, the royal family – and the rest of the people = farmers, workers and servants. At the centre of his argument, he presents the idea that it is the common people, not the king or the elite, who are the true rulers of country Joseon. Does the King exist for the people, or do the people exist for the King? People, as we see them today, are those who work the land, make clothing, carry palanquins, and raise cattle for the King. Their entire body, mind, and soul are used in the service of enriching the livelihood of the King. Thus, the people exist for the King. Yet, the world was initially inhabited by nobody else but the people who were living together in peace and harmony. Back then, there was no individual named King. But, an incident occurred which started to change this social condition. An individual had an argument with his neighbour, and seeing that they could not solve the problem on their own, they went to see the village’s elder who, on their behalf, heard the case and gave a settlement to which both participants agreed. From then on, as these incidences became more frequent, the people in the village began to call their elder 이정 (里正), meaning the “village judge.” Gradually, the elder earned the respect of the people and his wisdom was much recognized. As the scale of conflict increased, so did the authority of the elder. When different parties sought the advice of the elder, the elder came to be known as당정 (黨正), meaning the “party judge.” When villages had disagreements with each other, they would seek the advice of an elder selected among these multiple villages. He came to be called주장 (州長), the “mayor.” Then the “mayor” became국군 國君, the “provincial administrator,” when municipalities needed a wise elder to solve disagreements on their behalf. Finally, when provincial representatives gathered together and selected an elder based on his wisdom and experience, he became황왕 皇王, meaning “King.” Thus, the seat of the King originally came from the will of the people – then should not the King be in service for the people? By this time, the “village judge” would draft new laws based on the will of the people, which would get sent up to the “party judge,” from the party judge to the “mayor,” from the mayor to the “provincial administrator,” and finally, from the administrator to the King who would then ratify the law into an act. Thus, at the centre of law stood the will of the people. After several generations however, a new King emerged unlike any of his predecessors. He unilaterally called himself Emperor, arbitrarily placed his sons and relatives in high ministerial positions, and changed the country’s laws so that they would only serve the interests of the royal class. As a result, all laws favoured the King, marginalized the people: thus was born the system of servitude for the King. Today, the sumptuous lifestyle of government officials extends beyond that of the King. Thus, when people visit them to seek advice and help, they respond by saying “why have you come to bother me?” Also, when they see people starving, they ask “why are you killing yourself?” If people do not pay taxes, they give them punishments, and they spend their time taking bribes and counting off money. So who serves whom? Does the King exist for the people, or do the people exist for the King? According to history, the King should exist for the people.